Are you thinking of moving or relocating to Mississauga, Ontario? Looking for Mississauga real estate MLS listings? or a professional Mississauga real estate agent to help you find your dream home? Then you've come to the right place! Browse through the available real estate properties in the west Toronto areas of: Mississauga, Etobicoke, Mineola, Port Credit and Clarkson. See my list of houses, townhouses and condos for sale in the Mississauga area. If you don't see what you are looking for on this page then please feel free to contact me and/or complete my online Ideal Home Search Form to describe the type of home you are interested in. I will do my best to help you find the ideal home that is best suited to your needs and lifestyle. 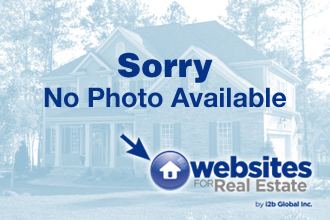 The Mississauga Real Estate MLS listings on this page were last refreshed on Thursday, April 25, 2019 at 5:07 AM. Buying a house, townhouse or a condo in Mississauga is one of the most important purchase of your life, so it's absolutely key to do your due diligence to find a home that perfectly suits you. That doesn't mean you have to do it alone. When you work with a professional Mississauga real estate agent like Cynthia Shaw, she'll be able to point you in the right direction and give you clarity about what it is you want and how to get it. There are many wonderful locations in and around the Toronto area, but there are an incredible number of reasons to purchase real estate and live in Mississauga! Residents of this great city agree that Mississauga real estate simply can't be matched. That's right -- people are moving to Mississauga in record numbers for a reason. It's in a great location, and the residents are generally very fond to name this as their home. It's time to find YOUR home in Mississauga today. 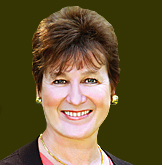 Let Cynthia Shaw find the perfect Mississauga house, Mississauga condo or Mississauga townhouse for you and your family.